Brendan Recupero is an associate at the firm and focuses his practice on secured transactions, corporate reorganizations and liquidations, loan workouts, mortgage foreclosures, and business litigation. Mr. Recupero's experience includes representation of secured lenders, equipment lessors, debtors, trustees and committees in connection with distressed businesses and problem business credits. He has counseled clients in restructurings, both inside and out of bankruptcy, in the retail, manufacturing, technology and bio-technology, and real estate sectors. 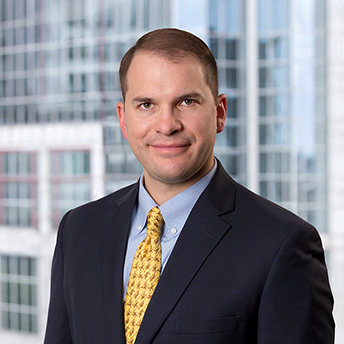 In addition, he has practiced in bankruptcy courts in Delaware, New York, Texas, Florida, Maine, and New Hampshire on a wide range of issues. Following graduation from law school, Brendan served as a judicial clerk to the Hon. William C. Hillman, United States Bankruptcy Judge for the District of Massachusetts. Represented liquidating trustee under confirmed plan recovering over $30 million for benefit of creditors resulting in a dividend of over 41% to general unsecured creditors. Represented womens clothing retailer with gross revenue of over $40 million and 70 locations in connection with successful post-BAPCPA leasehold sale. Represented private equity portfolio companies with revenue of approximately $85 million in connection with chapter 11 bankruptcy proceedings. Appeared in Canadian insolvency proceedings under the Companies Creditors Arrangement Act involving a U.S. debtors wholly owned subsidiary. Successfully recovered over $2 million on behalf of chapter 11 debtors estate.